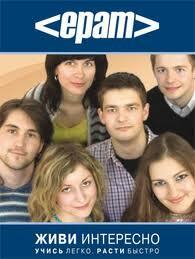 The 2012 university admissions campaign in Belarus has just finished and reflects a very interesting trend. However good Belarusian higher education is for engineers, physicists, and mathematicians, that does not seem to matter to young people anymore. They want to become programmers. That means representatives of almost the only profession that guarantees them independence and a decent living standard immediately after and even before graduation. A decade ago the cliche IT specialist image in Belarus included uncut hair, a worn-out sweater and other attributes of a modest bachelor's life. Now they form a distinct Belarusian – primarily Minsk – cohort with a label of successfulness and independence unparalleled in other sectors of the struggling Belarusian economy. To a large extent this happened due to the reasonable regulatory approach to the IT industry in Belarus. According to the Belarusian National Statistics Committee. the average programmer’s salary approaches $1,300 per month. It is about three times higher than the average salary across the country, which currently is less than $450. Employment websites are full of vacancies for IT specialists. Competitions for the title of the Best IT Company to Work For become more popular to attract the brightest. Public respect is taken for granted. All these advantages target primarily a group of young people in their 20s who have recently graduated from Belarusian universities. Saying that programmers are just lucky would be unjust. Their efforts and talent deserve real respect. This year once again, in the Belarusian State University passing scores to the programmers’ alma mater – Faculty of Applied Mathematics – were considerably higher than to any other natural science faculty: 321-345 (depending on speciality) out of 400 possible points. Passing scores for most other natural science specialities remained well below 300. But even the admittedly talented students find curriculum of the Faculty of Applied Mathematics difficult. At the same time, they have to do plenty of extra-curriculum studies, because the university provides only basic knowledge of programming languages. However, the graduates get paid for every drop of their efforts because the Belarusian IT industry is ready to remunerate their skills and continues to grow. The favourable environment for IT business in Belarus started to develop in 2005 with the adoption of the presidential decree “On the High Technologies Park”. The decree established the High Technologies Park for 15 years to support the national software industry. Since that time the High Technologies Park represents a specific part of the territory of the city of Minsk and its residents have a number of benefits in the spheres of taxation, immigration and foreign currency transactions. Tax benefits are probably the most impressive. For instance, the High Technologies Park’s residents are not subject to profits tax, VAT on turnover from sale of goods and rendering services in the territory of Belarus, or customs duties and VAT with respect to goods imported into Belarus. Preferential personal income tax rate (9 per cent instead of statutory 12 per cent) applies to profits of individuals earned working at the High Technologies Park. Withholding tax rate on income from dividends, interests, royalties if the source of payment of such income are significantly lower than the normal rate. Thanks to the favourable legal environment, the High Technologies Park has expanded quickly and currently hosts 109 residents. Half of them are foreign companies and joint ventures. Branches of world leaders in software production of Belarusian origin such as EPAM Systems, Sam Solutions and IBA Group are also among the High Technologies Park’s residents. The list of consumers of the High Technologies Park’s software includes Mitsubishi, British Petroleum, London Stock Exchange, World Bank, Coca-Cola and many others. There is nothing unusual about big demand for Belarusian programmers. Respect for post-soviet schools of math and physics that laid the foundation for programmers’ qualification has always been high. But until recent years that resulted in a huge outflow of bright graduating students to foreign countries. Despite their interest in Belarusian programmers, major international companies were unwilling to enter the market even for outsource out of prudence. The High Technologies Park’s tax incentives became the second and decisive reason for starting an IT business in Belarus. Success of the first foreign IT companies attracted others, and finally Belarusian programmers became able to find good jobs in their home country. Belarusian programmers still earn much less than their USA colleagues – about $88,000 a year in the USA compared to approximately $15,000 in Belarus. However, this can allow for quite a well-off life thanks to Belarus's relatively low cost of living. For example, monthly rent for a good two-bedroom flat is about $370. Since the difference in real income is not that striking, programmers take into account their wish to be with families and friends and often choose to stay in Belarus rather than go overseas. End of the Fairy Tale? 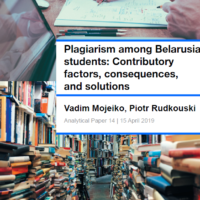 While programmers prosper in Belarus now, many predict the end to their era and explain such apprehensions by the forthcoming oversaturation of the Belarusian labour market with skilled specialists. However right was the concept of diminishing marginal utility as such, it is too early to apply it to IT in Belarus. The export share in the total production volume of the High Technologies Park is 80 per cent. That means that it is only the world’s labour market saturation which they should be afraid of, which is very unlikely. In the meantime, what seems to be a real threat to the current peace and quiet is that in 2020 the privileges of the High Technologies Park will terminate. Will doing business in Belarus still be so attractive to IT companies? It is not only programmers who worry about this. The best of them will always have the chance to get a job abroad. But the IT sphere feeds a number of related professions and administrative staff, provide the country with foreign currency and accelerates consumption in the country. This is a challenge Belarus is going in eight years, and it is already time to think about it. Darya Firsava is a Minsk-based lawyer working on her PhD and leading a number of educational projects in Belarus. July did not start very happily for Alexander Lukashenka. 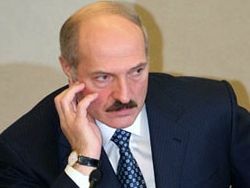 At the Independence Day speech on 4 July he praised the great political and economic situation of Belarus, but subsequent developments undermined both. The teddy bear affair and rejection of his visa application to attend the London Olympic Games are among the issues likely to have made Lukashenka embarrassed and frustrated, and sparked a new wave of enemy-searching. Financial troubles and the need to obtain more financial assistance from Moscow still remain the most burning problems. The recent diplomatic conflict with Sweden and, in consequence, tensions in relations with the EU, will isolate Belarus internationally even more and push it further into Moscow's arms. The drop of teddy bears with pro-democracy slogans over Belarus was first met with denial that it had happened and then to a number of high-ranking officials being dismissed or reprimanded. The dismissed include air defence chief Major General Dmitry Pakhmelkin and Major-General Ihar Rachkouski, who was in charge of the border service. The Belarusian authorities have now started searching for more enemies – both external and internal. On 3 August Minsk announced that Ambassador Eriksson’s accreditation had been terminated. Stefan Eriksson was a diplomat whose ability to speak the Belarusian language and knowledge of Belarusian history have long made Belarusian authorities suspicious. A few days later, on 8 August, Sweden demanded that two Belarusian diplomats leave Stockholm. In response, the Belarusian authorities went even further and recalled all the employees of the Belarus Embassy in Sweden and asked the Swedes to close the embassy in Minsk. Although Belarusian officials failed to prove any link between Eriksson’s diplomatic and alleged anti-regime activity (for example, responsibility in the organisation of the teddy bear campaign), they suggested such conclusion quite openly. Moreover, other arguments that the authorities raise, related to Eriksson staying too long with the diplomatic mission in Belarus, appear not to be serious. As a part of the conflict with Sweden, the authorities arrested and continue to detain with the KGB a journalist who was the first to take pictures of Swedish teddy bears in Belarus and a real estate agent who housed the Swedes when they came to visit the country just before the stunt. The authorities wanted to demonstrate their tough approach in response to the teddy bear affair. However, the ease with which Minsk escalated tensions with Sweden could have been motivated by an additional factor: Lukashenka’s humiliating visa rejection to go to the Olympics, where Belarus eventually got less medals than ever before in its sovereign history. On 24 July, the British authorities officially refused to issue a visa to Alexander Lukashenka who has been on the EU travel ban list for years. Since he has been president of the Belarusian Olympic Committee since 1997, the whole situation surely seemed even more severe to him. In their official announcement, the British officials treated him as equal to other dictators like Bashar Assad and Robert Mugabe who were not welcome at the Olympics either. While from the very beginning the Belarusian authorities avoided making any comments on the decision, on another occasion, during the Slavianski Bazaar singing contest in Vitebsk, President Lukashenka described the Olympic Games as dirty, corrupt and politicised. On 10 August EU foreign ministers at an extraordinary meeting agreed to express their solidarity via a diplomatic note addressed to the Belarusian authorities. Widening the so-called “black list” of those who are not allowed to enter the EU territory is also under consideration in Brussels. However, the EU politicians will make a concrete decision by 31 October, when Brussels is supposed to discuss it in the broader context of mutual relations and other issues, such as political prisoners and repression of civil society in Belarus. Such a concrete date indicates that Brussels aims at detailed observation of the September parliamentary elections and will also deal with their probable abuses. Nevertheless, the recent reaction of the EU toward the conflict with Swedish diplomacy is by no means harsh, as some have actually expected it to be. A diplomatic note, which the EU member states decided to use this time, has just purely symbolic meaning. In fact, the Belarusian political leadership is already isolated and there is not much else Brussels can do without harming the population of Belarus. A key challenge to Brussels might be to close the whole issue smoothly as soon as possible – a recent diplomatic conflict when all EU ambassadors were first recalled but then returned could have taught something to both Minsk and Belarus. It is not only the Swedish teddy bear provocation and UK visa refusal that might have motivated such a tough reaction from Lukashenka. As a matter of fact, he needs financial assistance to sustain his regime. In an official letter back in June, the Belarusian authorities requested from the Eurasian Economic Community, an organisation dominated by Russia, more financial aid. As Russia is trying to close down various unauthorised oil trading schemes of the Belarusian regime, its external debt is growing. Moscow remains the only supporter of the Belarusian regime. Thus, Minsk does its best to portray itself to Russia as the only reliable and trustworthy partner which needs support in its struggle against Western pressure. The Belarusian official media portray the West as responsible for spy activities and provocation which helps them shift attention away from internal problems. Brussels puts forward concrete conditions on any financial assistance, whereas Moscow simply generously donates to retain the status-quo in Belarus. But the truth is that Russia’s support is also conditional not only upon its geopolitical anti-Western position but also upon privatisation of state–owned companies – the question which will inevitably appear on the agenda soon.